The All In Comedy Tour has performed 50 plus shows in over 15 cities in 2014 and we are headed to you! 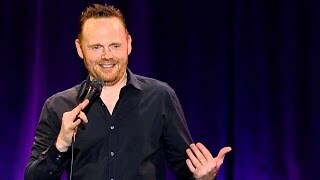 Bill Burr brought together a few of his favorite comics who are recognizable from television and have been featured on his Monday Morning Podcast including Joe “ the Rose Bowl Tail Gate Legend” Bartnick and Paul “Dude I Called It” Virzi . Joe Bartnick has a loose definition of PC and amplifies those opinions through a hard-line gut busting approach which gets audiences laughing out loud on topics most fear to bring up. Paul Virzibrings a New York City attitude to his real life story-telling. A family man and father of two, Virzi will have you cracking up at how he uses his children as an example of behaving to get what he wants. The All In Tour is always about celebrity drop ins and expect the tradition to continue in your city Paul and Joe will welcome a few hilarious comic friends to make it a truly special night of comedy. Would Bill steer you wrong?